Telecommunications equipment connects to a wall jack when you use the CE-TECH 12 ft. Black Phone Line Cord. This cord offers modular plugs on each end for quick and easy connection. CE TECH Home Command Center II 6-1/2 in. Structured Media Enclosure provides signal distribution for up to 8 locations and supports up to 4 phone lines to 8 rooms. This structured media enclosure offers a plastic, flame-retardant construction for safe storage of the integral connection points in your house. ETL Listed. 25 ft. 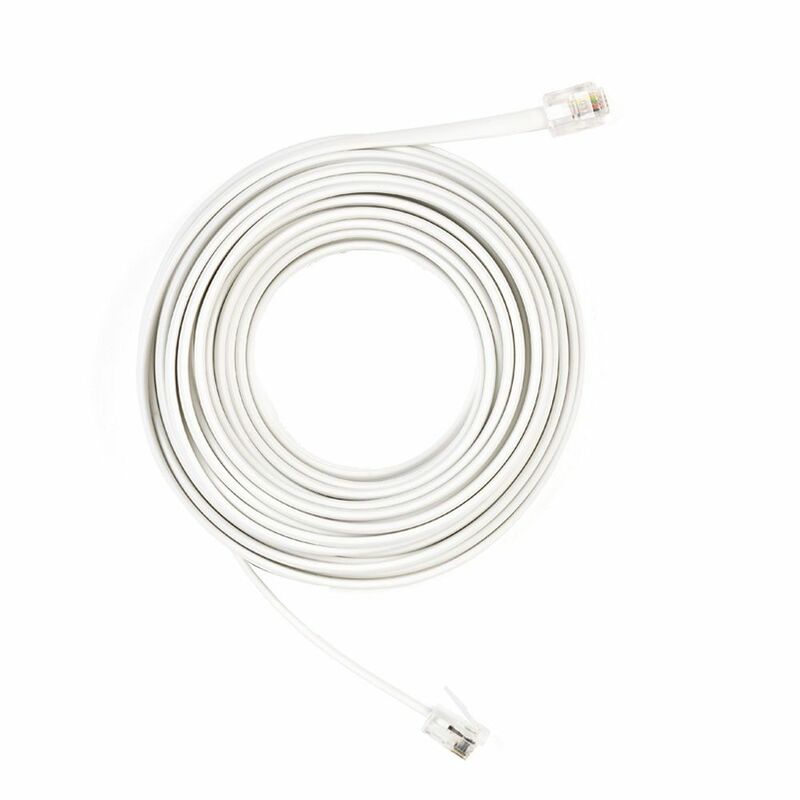 Phone Line Cord in White Telecommunications equipment connects to a wall jack when you use the CE-TECH 12 ft. Black Phone Line Cord. This cord offers modular plugs on each end for quick and easy connection. 25 ft. Phone Line Cord in White is rated 4.6 out of 5 by 56. Rated 4 out of 5 by Spray from Just long enough for my needs.... Just long enough for my needs.